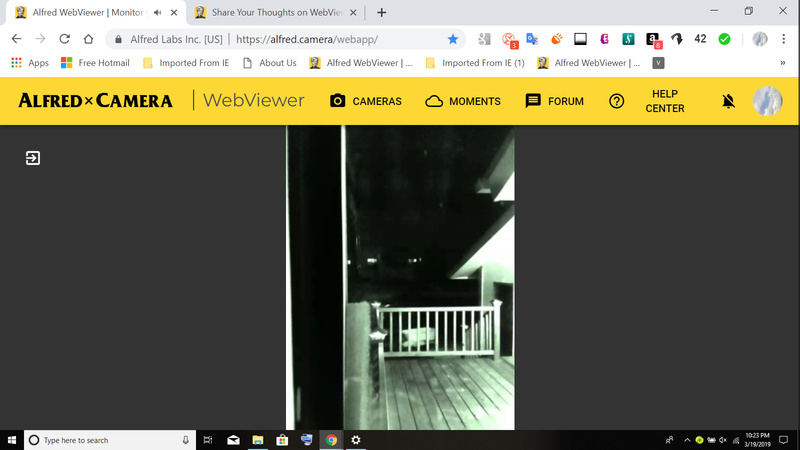 Share Your Thoughts on WebViewer 2.0! 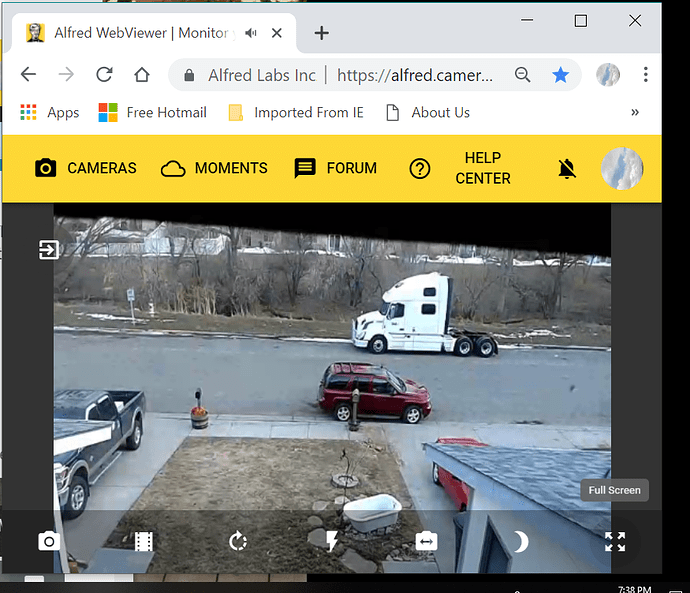 - Share Your Story - Alfred Center | get the most out of the best home security app! Share Your Thoughts on WebViewer 2.0! Thanks for making Alfred a better service for your feedback! This a feature we are looking into. We will take your advice into account and discuss it with our engineering team. Since many factors have to be taken into consideration, we can’t give you a timeline yet. In the meantime, we hope Alfred has been working well for you! Please stay tuned! What do you see on the screen? Are you able to log in properly? Is the screen just black? Disable all plug-ins and extensions. Open Alfred in Incognito mode. Try on a different PC. Please keep us posted! There are many, many variables when it comes to the WebViewer, which makes troubleshooting more complicated. Full screen is not full screen. The buttons-bar covers the semi-full-screen in the middle. Would you be able to take a screenshot of what you see and send it to us so that we can look into it? Thanks! Would like an option to automatically start the next frame after watching one. I like the small viewer idea. 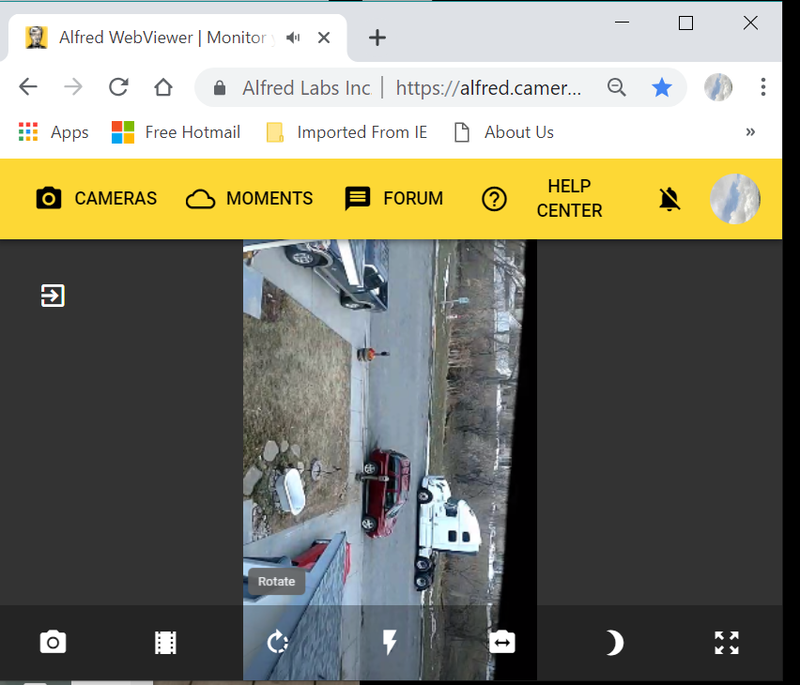 Could there be a way to have a “stand-alone” window so I can close the main browser window and still have the mini-viewer? The second suggestion/request would be to have at least two stand-alone windows if possible. Otherwise, the app has been great for my small business and I’m glad that I found your app. Please increase the bandwidth and allow movies to be seen with high image quality. 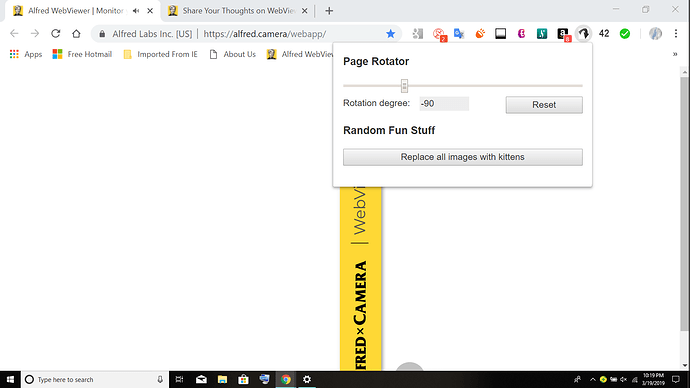 I love the option of having a WebViewer but I liked the original WebViewer because if turned the screen I could then use my page rotate extension at the same time. With 2.0 View my page rotate extension does work. Every time I go to click on page rotate and start rotating the screen turns white and my picture disappears. I really don’t like seeing the Bytes/sec and all that stuff on my screen as well. Otherwise I have no problems with it. Thanks for reporting the issue! You can take a screenshot of your PC to save what you see on the WebViewer. That way, we can look into it further for you. To capture your entire screen and automatically save the screenshot, tap the Windows key + Print Screen key. Your screen will briefly go dim to indicate that you’ve just taken a screenshot, and the screenshot will be saved to the Pictures > Screenshots folder. I’m having issues with popups constantly “taking over” the screen and then being unable to view from the webviewer. Is there anyone to ensure that Alfred stays on top or has priority? 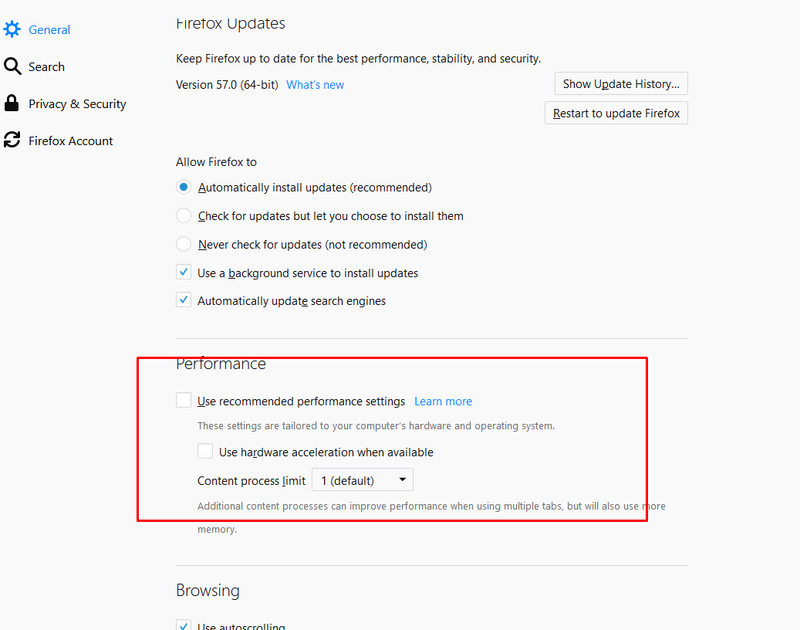 @mattbirchfield Hey Matt, please check the pop-up settings on your browser and make sure that you have enabled “block pop-ups”. If the issue persists, please provide us a screenshot of what you see. Thanks! The page rotator extension flips the entire page…where your rotatte option just flipps the picture. I’ll show you the difference in size and hopefully you’ll understand why I would want to rotate the entire page to something I can see normally. You can enter fullscreen to get a larger view of the rotated image. What’s more, you can also make use of the “Zoom” feature to get a closer look at where you want to monitor. You can then tap on the “-” (minus) and you will find the image getting larger while the other part of the WebViewer gets smaller and smaller. Hope this helps for you!